Summary from Goodreads-Because Joshua the Lamb was different, he often felt left out. But God had a special plan for his life. This special little book with beautiful illustrations tells the story of a special lamb named Joshua who was born different from the other lambs. He could not run and play as the other lambs and they made fun of him. But Joshua had a special friend, Abigail, who loved him for who he was and always told him that God had a special place for him. Because he loved Abigail he believed her but he still felt sad. When the flock is moved to a better pasture, he is left behind. What happens next to Joshua will change his life forever. I highly recommend this book for ages 1-6 and be sure to have a tissue because it will bring a tear to your eyes. 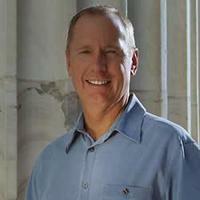 About the Author: Max Lucado, Minister of Writing and Preaching for the Oak Hills Church in San Antonio, Texas, is the husband of Denalyn and father of Jenna, Andrea, and Sara. He is the author of multiple bestsellers and is America’s leading inspirational author. Visit his website at http://www.maxlucado.com/.